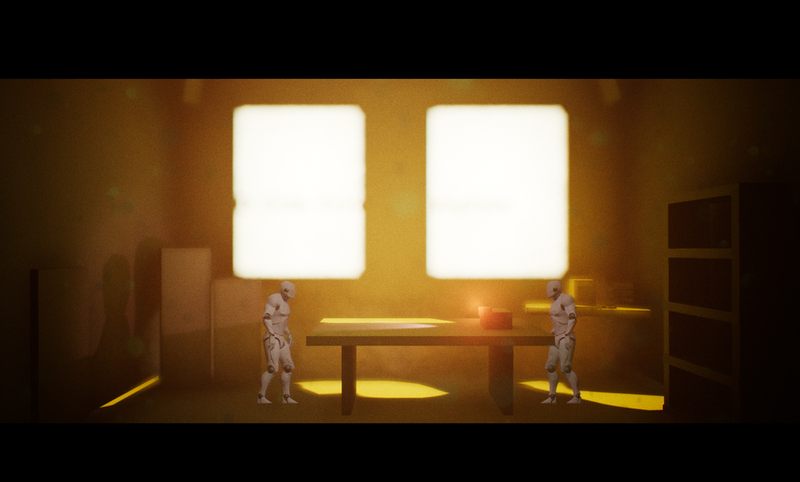 Void Kompff was created as part of the Movie Game Jam 2018. The Jam was entered by myself (Callum Hancock) & Matthew Farnsworth. However ultimately the project was developed by just myself. As the name suggests the aim of the Jam was to create a game inspired by a specific scene from your favourite movie. Naturally we chose Blade Runner. The aim of the game was to reimagine the original Void Kompff test, while infusing it with the elements of the Baseline test from Blade Runner 2049. The game utilizes voice recognition as it's primary input. The NPC across the table recites baseline-style statements, and the player must repeat back the appropriate phrase. Ultimately the project was a success and the voice recognition works perfectly. However ultimately the game was left half finished due to work restrictions. I plan on returning to the title to clean it up and develop a full script with Matthew in the future.